So You Hate The Way You Look & Sound in Video? Here's What You Can Do About It. 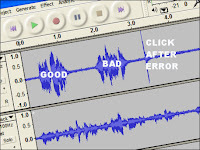 Many times I have heard people say "I hate the way I look on video", or "I hate the way I sound in recordings". This is nothing weird; if you are not used to being recorded then there is always a disconnect between the way you see yourself -- always a mirror image -- and the way others see you. And you hear your voice partly through your head so it sounds different to you. Add to that the technical limitations of affordable hardware and its no surprise that occasional video makers are so disappointed. But there are some concrete things you can do about it. 1. GET USED TO IT. First of all it helps if you see yourself and hear yourself on video more often so you get used to how it looks and sounds. The first time will probably be a surprise but after a few attempts it will seem much more like you. Try also watching yourself on video in a mirror to get a more realistic idea of how others see you. This week I was fortunate enough to see the primatologist Frans de Waal speaking at the Royal Swedish Academy of Sciences in Stockholm. He spoke about empathy in primates -- the topic of his most recent book, The Age of Empathy; he also spoke about popular science writing and how he mastered this difficult craft. His lessons are especially interesting for people who are at the beginning of their career, but also useful for people who are already well established in their field. Classic cartoons from the golden age were riddled with clumsy national stereotypes, so that non-American characters were instantly recognizable by their accent, dress, actions and even profession. Mostly harmless, these stereotypes formed the minds of generations and created myths that persist even today. Take, for example, the myth of the mandolin-playing, singing Italian waiter. I have been in restaurants in the US where waiters sing because "that's what they do in Italy", but though I lived a long time in Italy I never saw a waiter sing there. In fact the source of this myth for a generation of people is the restaurant scene in Disney's Lady and The Tramp -- the scene where the dogs eat spaghetti and meatballs. Just for the record, spaghetti and meatballs is also not something you would ever find it Italy, but that's another story. In the YouTube age it's not just media pros who are recording TV interviews -- people in company PR, HR and training departments often find that they have to do it, too, and without any help. If you are in this position you probably discovered already that you can Google tutorials about how to use the equipment and also find plenty of lists of Important Things to Remember. What is missing is the kind of knowhow you normally learn the unpleasant way through experience. 1. Always warm up the interviewee before you start the interview to make them relaxed and comfortable about talking in front of the camera. 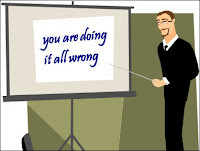 You can start by reassuring them you can re-record anything that doesn't work but more importantly ask a few other warm up questions before you start the real ones. 10 Things That Companies Do With Their Twitter Accounts but Maybe Shouldn't. In the last post I gave seven reasons why companies should have a well managed Twitter account. Now I am going to explain what I meant by well-managed by listing 10 Things That Companies Do With Their Twitter Accounts but Maybe Shouldn't. 1. Use the account only to retweet articles from other sources that they find interesting without adding anything about their own news and activities. You can do this with your private account but not for a company. 2. Tweet special offers and other routine trivia during a crisis. Yes, people have done this. 3. Tweet nothing for a month then send 20 tweets in 20 seconds. You would be amazed how many otherwise sensible companies do this. 4. Tweet just links to other pages without any content in the tweets. This is annoying and unfriendly. 5. Tweet replies to customers to contact them through other channels. If you have an account then use it. In September 2009 I blogged about how the limitations of one media often drive creativity in another (If Fish Could Draw, 28 September 2009).One of the examples I gave was the art of Catarina Kruusval , whose illustrations are sometimes drawn with distorted verticals and perspective like the view from a fisheye lens.I am still convinced that she was inspired by wide angle lenses but it turns out I was rash to say that this view had never been seen until such lenses were invented. Artists have, in fact, been looking at this kind of perspective since they first made metal spheres shiny enough to reflect a wide angle image. There is a famous picture of MC Escher holding a shiny sphere in his hand and observing the reflected image; he used this sphere in the 1920’s and 1930’s to make woodcuts and lithographs where he was at the center. I will be very surprised if nobody thought of this before Escher. When I coach people in speaking and presenting skills I always ask what they need to know about and especially what they fear the most. Pretty consistently the nightmare of most people is having to present something that someone else has prepared. These are mostly people who are already confident presenters of their own material but they dread being handed a pile of possibly poor quality slides and having to stand up and present them. Fortunately there are some tried and tested methods for dealing with this problem and I have distilled them into a quick checklist of seven and a half things to do. I hope this helps you one day. 1. CONSIDER SAYING NO. Say no when there is no advantage to you, but consider benefits to relationships and career if you accept.